This meeting consisted of a pre-arranged interview format, with four artists invited to discuss their art practice. Group members Sandra Rowney, John Rance, guest artist Mandy Rogers and group member Martin Laurance were interviewed by John Midgley, Martin Battye, Geoffrey Lefever and guest interviewer Rupert Mallin. 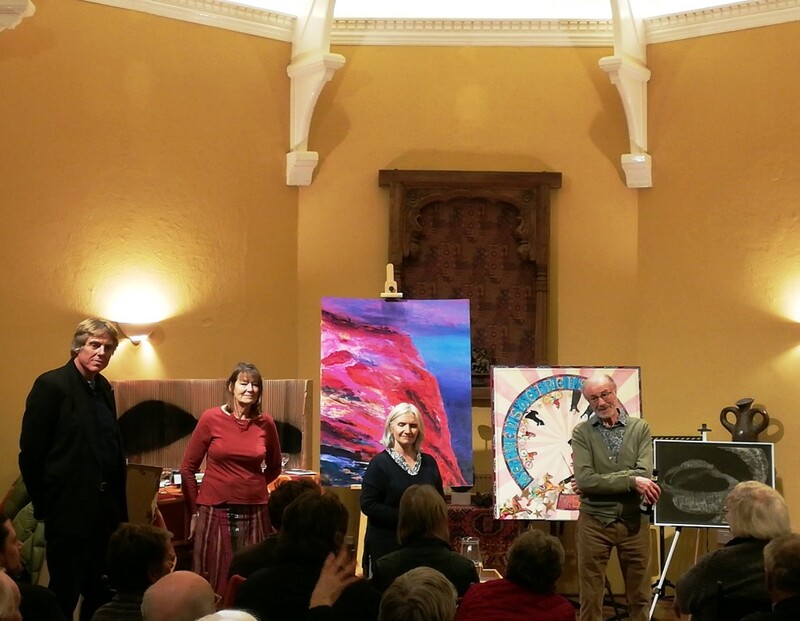 Artists pictured below at the chapel, where there was a full house! 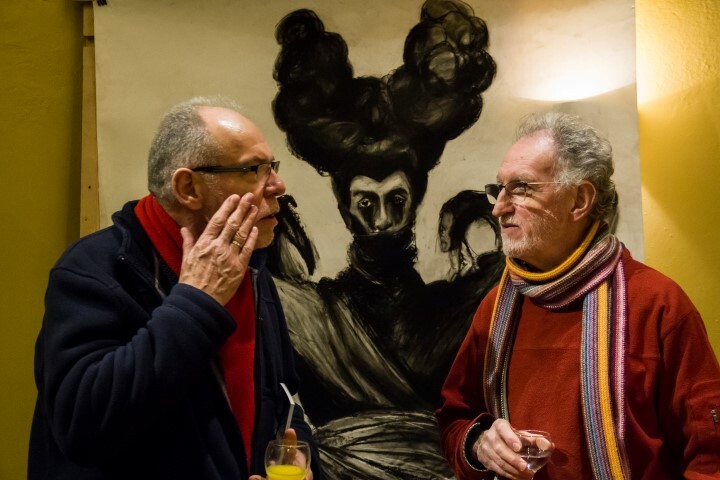 Image here is of discussion at the February ‘open’ meeting, photograph by Simon Marshall. The meeting on Tuesday 2 April will be a chance for all to bring art works – these could be completed pieces in any media, work ‘in progress’ or in sketchbooks.